Bokeh photography is primarily known as a type of photography where the emphasis is laid on how the photographer treats the elements outside the object of his main focus. The blur created by a long range lens is the actual highlight of this kind of photography which is famous for its aesthetic contribution. 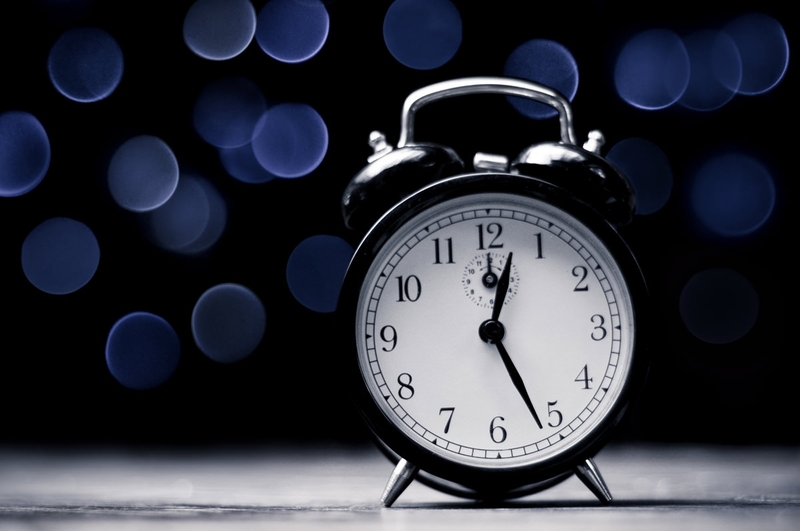 In this image, an old fashioned alarm clock is used as the point of main focus. The background is stark black and a number of blurred blue dots are shown at a distance. 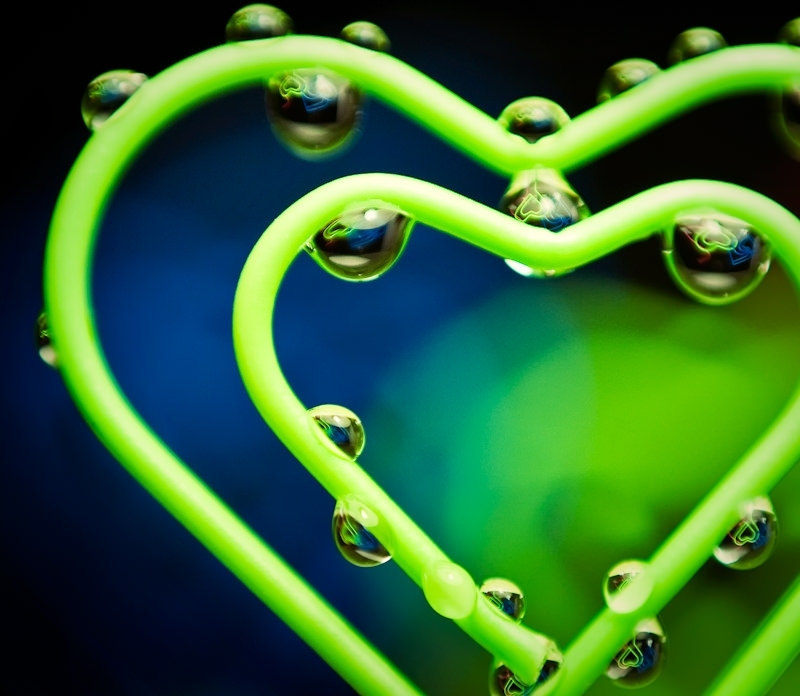 This sample of puzzled hearts water refraction uses a double layered heart figurine with droplets of water on the stands. The inner layer is put in focus, while the outer layer is blurred out creating a beautiful and serene effect. In this sample of a hand Bokeh, the hand of a lady wearing a ring on her ring finger is the object of main focus. Her thumb and the background are blurred out, which restricts the attention on the ring. 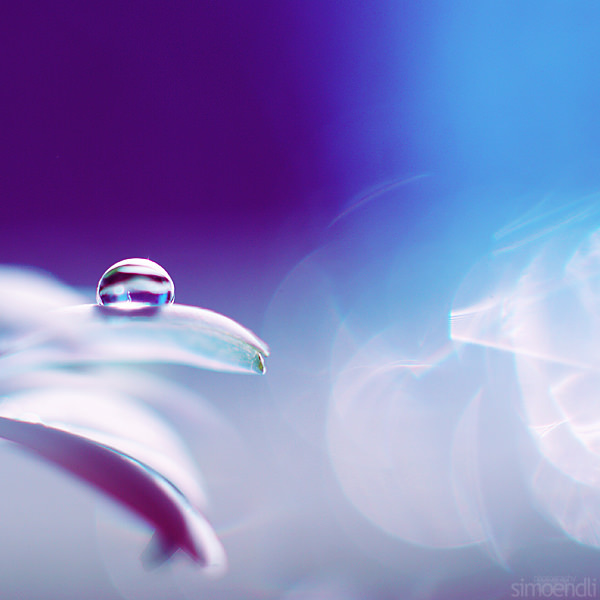 The cute water droplet Bokeh is set on a blue background and a single drop of water is shown hanging on the petal of a flower. The light and blur used in the image create a beautiful scene. 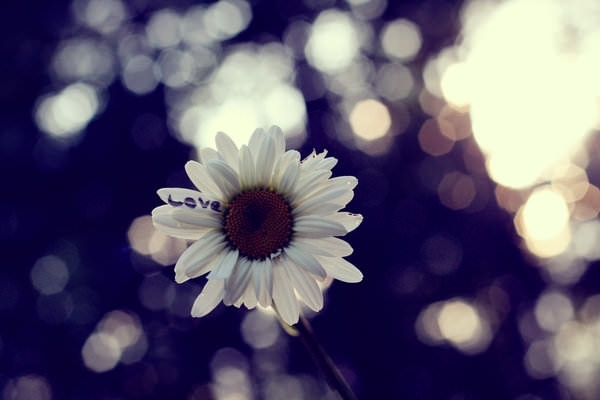 In this sample of petal perfect, a single flower is used as the subject. 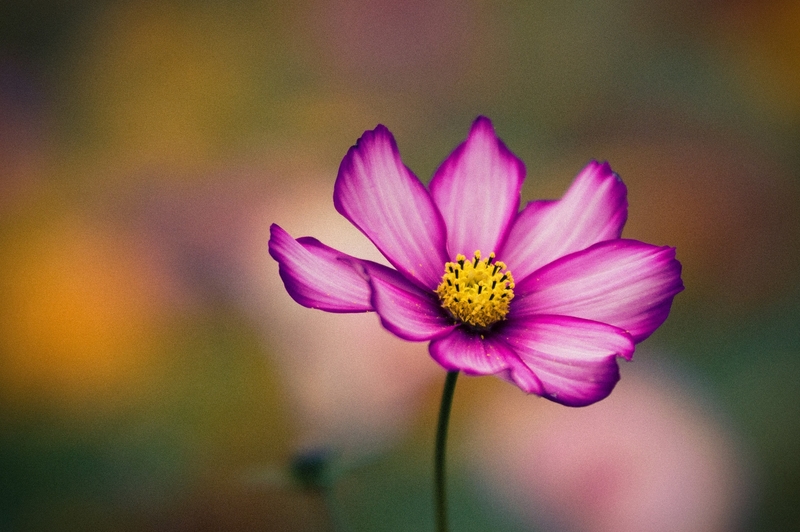 The photograph is taken in a low light setting and other flowers in the background are blurred, which creates a magical purple background for this image. A cup of Bokeh photography uses a cup as the main subject. 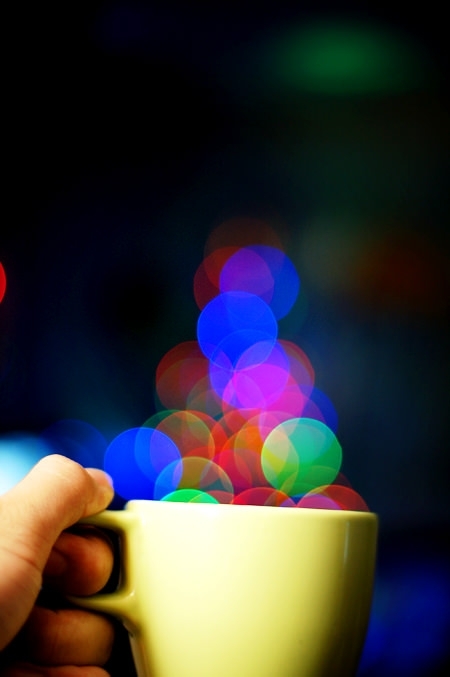 A man is seen holding a cup and images of blurred lights are seen emerging from the cup instead of smoke. In this image of colorful pencils, a stack of 10 color pencils is shown piled on top of each other. 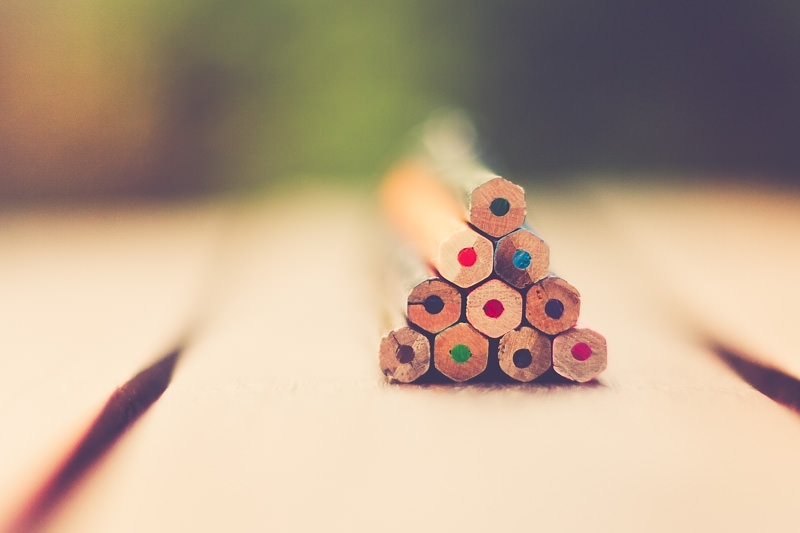 The bottom portion faces the camera and images of other pencils and the desk is blurred out. 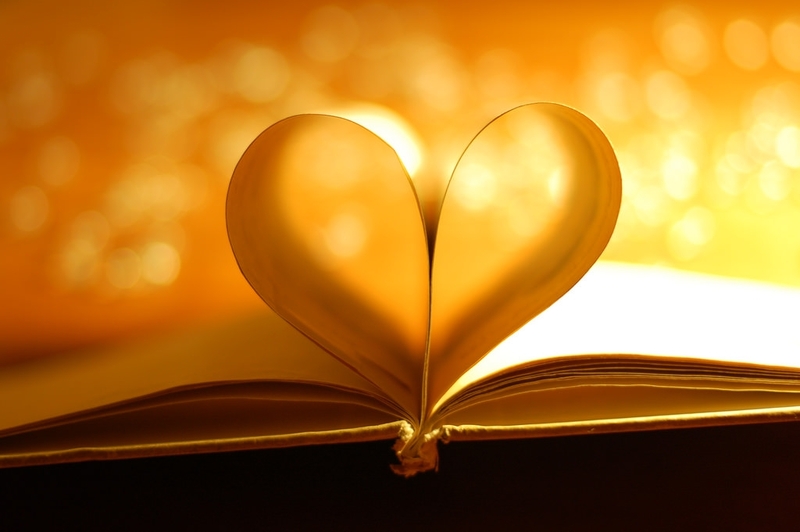 This book heart Bokeh image is a very popular image. Two pages of a book are folded to resemble a heart which also happens to be the main point of focus for the photograph. 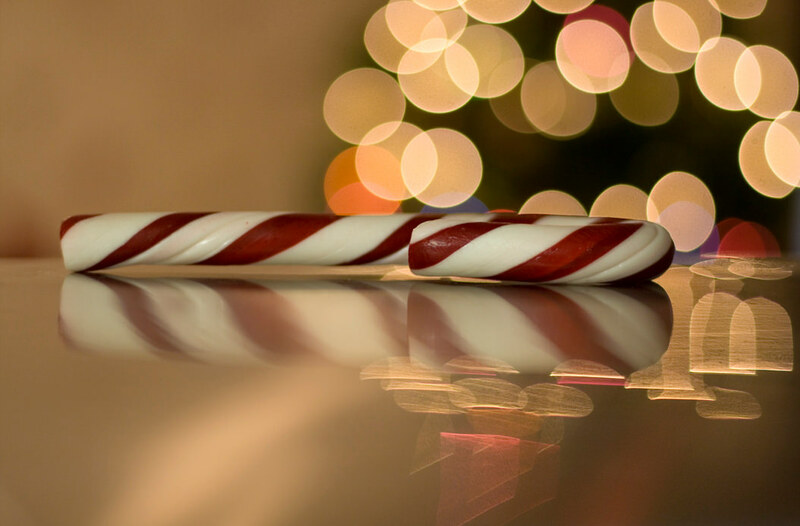 In this sample of candy cane Bokeh photography, a candy cane is seen lying on the table, while Christmas lights seem to sparkle in the distant background. 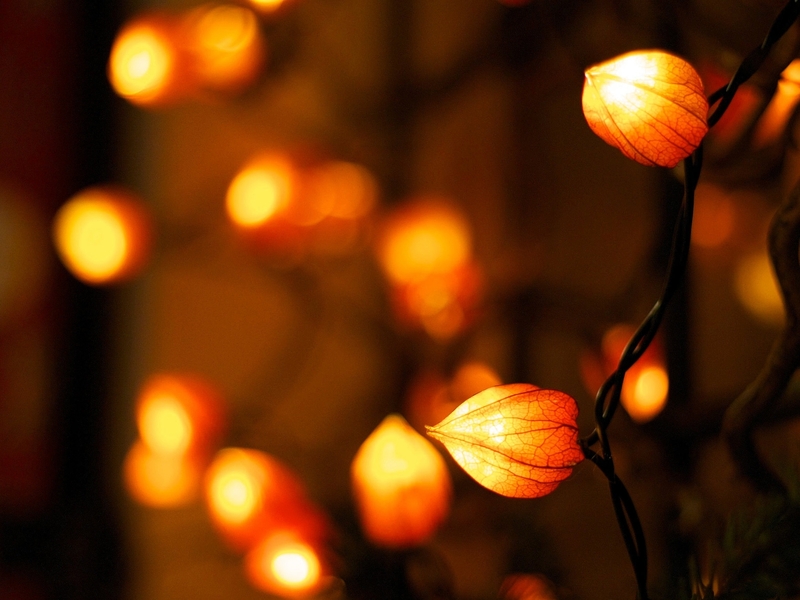 The image used in this example of Bokeh photography is also based on the theme of holiday lights. One particular bulb is made the point of focus while other bulbs in the string are blurred out creating a perfect background. 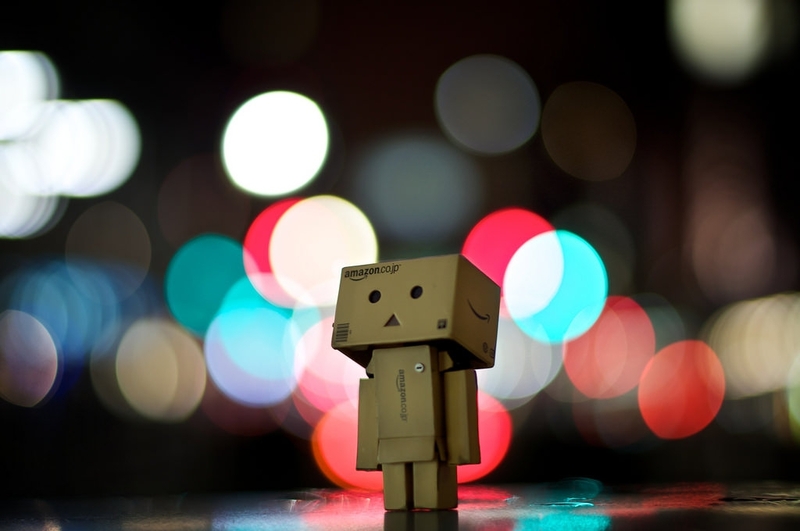 In this sample of a cute Bokeh photography, a wooden toy with a sad face is shown looking up at the sky, while multicolor blurred out lights seems to be twinkling in the background. 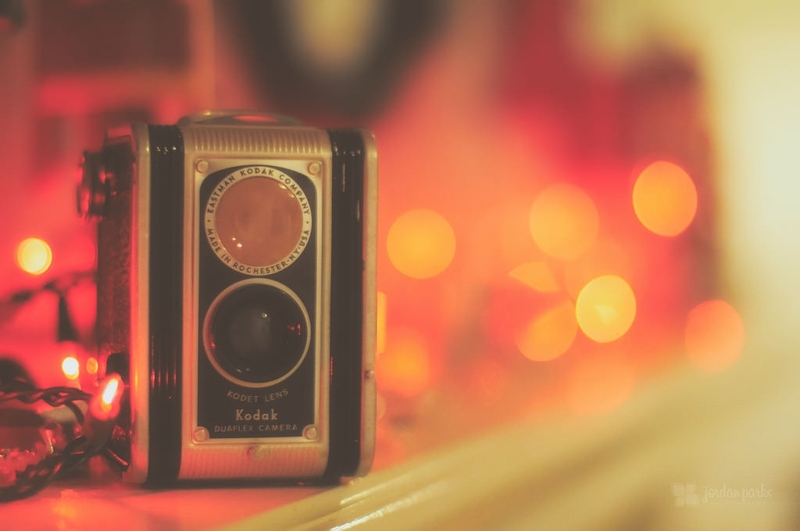 In this sample of Bokeh camera photography, an old fashion camera is made the subject of focus. Strings of red holiday lights are shown scattered in the background which gives the image a wonderful, soft, red glow. 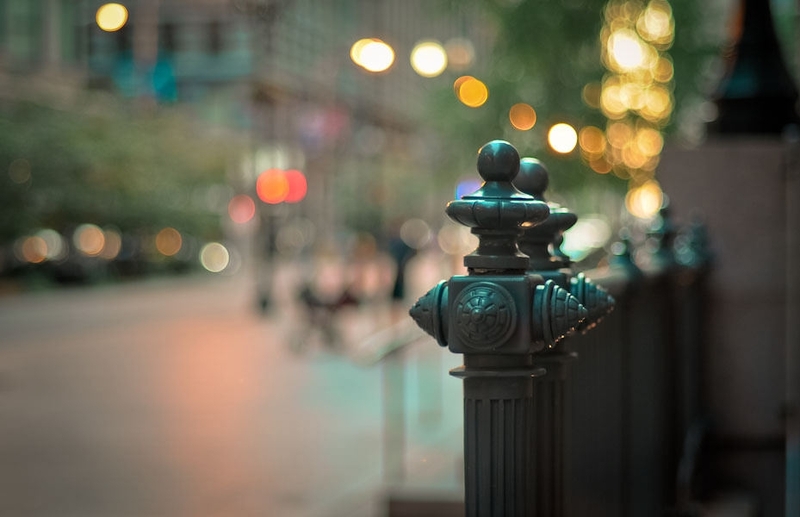 In this example of the old post office Bokeh photography, the image is taken either at dusk or dawn. The railing of the post office lies in the focus of the camera while streetlights are shown twinkling in the background at a distant. 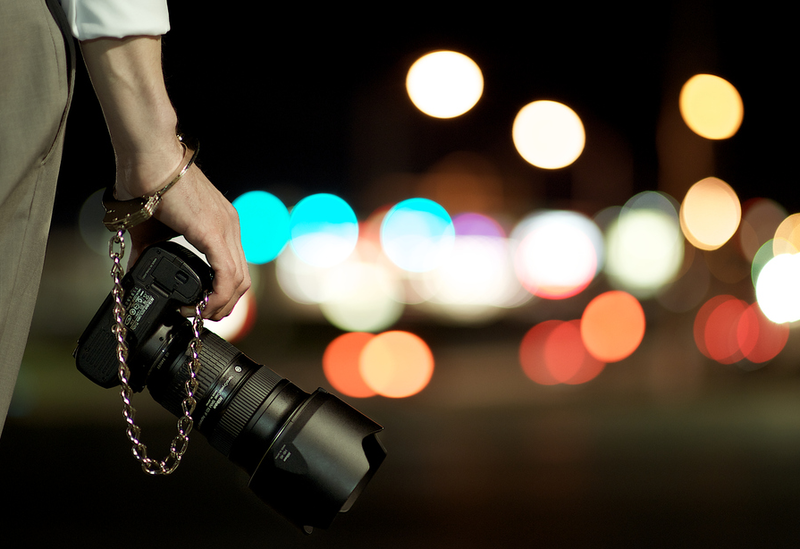 Bokeh Photography is one of the most romantic forms of photography. Subjects both inside and outside the focus range play a big role in giving the picture an ethereal aura. These photographs can be used either as background pictures or as mobile wallpapers.